Soccer goal setting is for the committed, determined and the "I can't sleep until I achieve this!" kinds of players. So what's that one thing you want to achieve? That thing that keeps you up in the night and has you slipping away during conversations with your friends thinking about it. Should You Set More Than One Goal at a Time? NO! and here’s why. Goals are about achieving desired tasks through a series of work and dedication and feeling great when you’ve accomplished one. If you set a whole bunch and work on them all at the same time you’ll never feel any real growth. Remember do not set 3 or 4 goals at one time, if you do more things at once you wont learn anything, just like studying for a test, you don't switch topics every 5min. Stay specific and dedicated to one and you'll be successful! Wanna play pro? Want to become captain of your team? Wanna learn how to hit a ball with your left foot? Maybe you want to learn how to head the ball properly. Whatever it is as bad as you want it, there is somebody else who wants it too, and separating yourself from them is important. But how do I do it all knowing mastermind god of soccer? Who me? Oh you're too kind. Set Goals, Set Goals, SET GOALS! But why should I? I know what I want in my head isn't that enough? NO! Saying you want something is one thing, planning and doing it is another. Breaking your goals down step by step and detail by detail is a critical part of understanding where you are, where you want to be and how you are going to get there. "Okay okay I got it so how do I set some goals", thought you'd never ask. 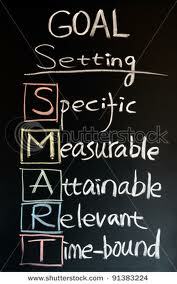 When setting goals you want to use what is known as S.M.A.R.T Goals, sounds fancy I know but here's what it means. 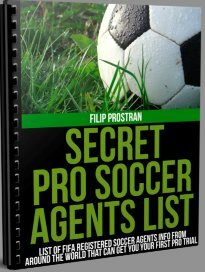 A common error is having a broad soccer goal that lacks planning and gets you nowhere, you'll put it off just like anything else and see no clear vision of what you want, "procrastinators meet tomorrow" syndrome. Let's say your goal is wanting to learn how to shoot a ball with your left foot. Now have a look at the difference between the two ways to just say a goal and the way to achieve a goal. Example 1: "I want to learn to shoot a ball with my left foot." -Extremely vague and gives no direction on how to achieve the goal and when the goal can be achieved by. Example 2: "I will learn how to shoot a ball for power on the run with my left foot by hitting 50 shots every other practice (a minimum of twice a week) at speed for 4 weeks before practice starting May 1st to May 29th and nothing will stop me." Now I know how to achieve my goal, what I need to do and for how long. When you write something down on paper it makes it more official and you hold yourself more accountable for achieving the goal then just saying to yourself in your head every once in a while that you wish you had a better left foot. So write the goal down on paper using S.M.A.R.T and put it somewhere where you will see it everyday (bedroom, computer, fridge whatever). From my experience playing on National Championship winning collegiate side and playing t the professional level goals and goal setting have been crucial in my success. Listen to me closely, saying it in your head is one thing but writing it down, and posting it all over the place is another. If you want to achieve your soccer goal, that's what it takes. If you truly want to take your game to the next level and be successful then it starts with mapping out specifically what you want and how you’re going to get there. 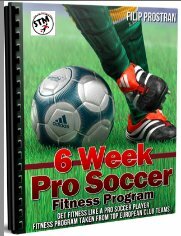 You can use S.M.A.R.T to achieve any soccer goal or any goal non-soccer as well. It's a great tool for putting your actions in motion. Once you reach the end of the goal you've put in place it is then time to reassess where you are at, and re-set your goals.